Air-Buds are the hottest headphones on the market. Wireless Earbuds are the newest trend. There are no cords connecting each ear piece together. They are simply just 2 earbuds on their own. These wireless earbuds can be used together or one at a time. If you want to share with a friend, you can take one earbud and pair it with your phone, then your friend can take the other and pair it with their phone. When using them together, simply power on one of the buds and pair it with your phone, when you power on the second earbud, it will automatically pair with the other piece and you are good to go to play your music, take phone calls, and more. There is a charging case included with these earbuds. 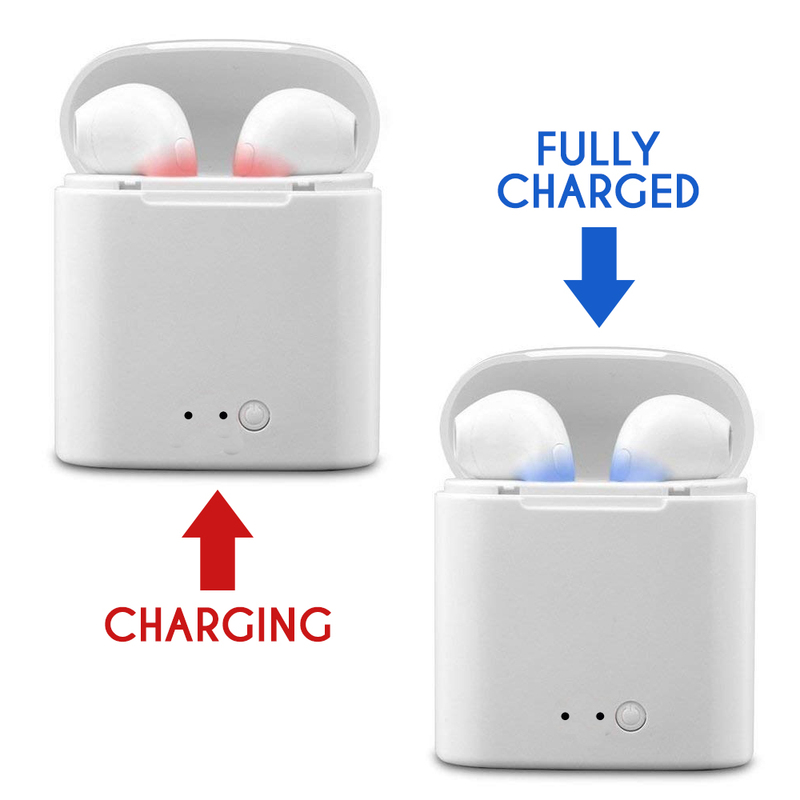 Simply open the top of the charging case and place your earbuds into designated spots and your earbuds will begin to charge. Imprinting wise, you can have your logo printed on the front of the charging case. The Air-Buds are available in white only.